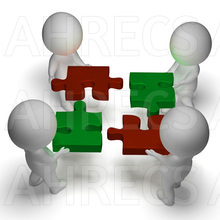 The AHRECS team bring together highly experienced Research Ethics Committee Chairs, members, ethics officers and researchers. In addition to working with, and alongside, many committees in Australia and New Zealand, we have also worked with and advised committees in South East Asia, the UK, Canada and the Pacific. \We have served on peak national committees, been involved in the framing of national policies and arrangements, and published extensively about a constructive approach to research ethics review and ethical design/conduct of research. As consultants we have provided human research ethics services and advice to universities of all sizes and maturity, hospitals and district health bodies, government department and public sector agencies, peak research funding bodies, non-government bodies and charities, research organisations, community service providers and private sector bodies. Our experienced team has received national and international awards, citations and recognition for our approach to professional development, we have been approached by national and international bodies for advice, and we are proud of our track record of successful engagement and continuing positive relationships with our clients – on time and within budget.